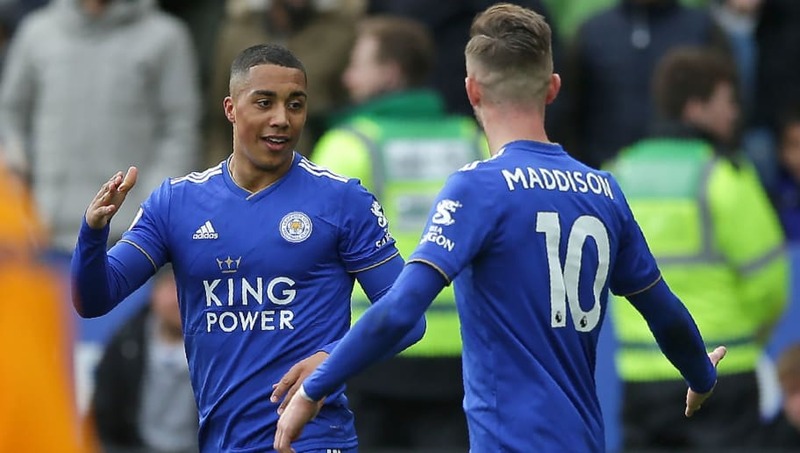 ​James Maddison has backed calls for Youri Tielemans' loan deal at Leicester to be made permanent, sharing his views via a Twitter post in the wake of Saturday's 4-1 Premier League victory over Huddersfield. Such has been the Belgian's form that calls are already being made for the move to become a permanent one, with the ​Leicester Mercury suggesting the fee to be in the region of £40m. After ​Saturday's humbling of Huddersfield, in which Maddison also got on the scoresheet, the English midfielder echoed statements regarding Tielemans' future in a ​Twitter post after the match. After opening his account for the club in their 3-1 win over Fulham, Tielemans got on the scoresheet again as Brendan Rodgers' side climbed to seventh in the ​Premier League table with their fourth straight league win against the relegated Terriers - a feat where much of the credit has been angled towards the Belgian. With five matches remaining in the league, the midfielder's form has come at the right time, with ​Leicester in a great position to secure European football for next term. Since losing his opening match, Rodgers had led the club to victories over Fulham, Burnley and Bournemouth ahead of Saturday's game, with their next fixture away at Newcastle on Friday.